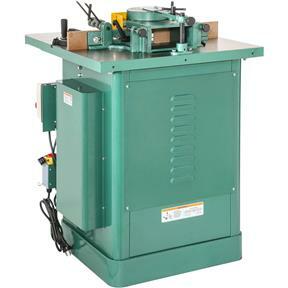 This machine is the hottest shaper in the USA! No one else can even come close to the quality and construction at our price! Certified meeting CSA & UL standards! 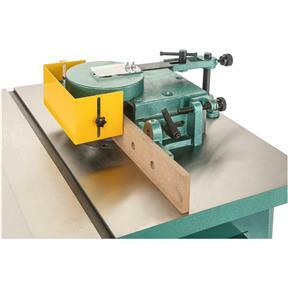 Standard equipment includes: Fully-adjustable guard, 3 table inserts, miter gauge and fence with spring-steel hold-downs. Table with standard wing attached: 30-1/2" x 28-1/4"
Floor to table height: 34"
3 interchangeable spindles: 1/2", 3/4", 1"
Spindle openings on table: 1-1/2", 3", 4", 7"
Approximate shipping weight: 392 lbs. This thing is amazing and makes building cabinet doors a breeze. The large work area and easy set up is great. It does take awhile to set up until you are use to the steps. It is a well built machine. Have only run one shape with a large cutter on white oak with excellent performance. Setup was straight forward. I did not use the fence supplied but fabricated one of maple and added a t-track to accept a feed roller. I was not fond of the feed hold downs supplied, although they worked fine. I found them hard to set up. 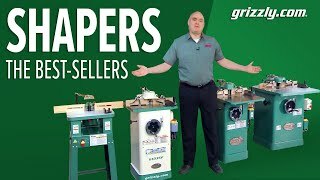 I bought this Shaper a month ago, and I have not had the time to run a new 220 circuit yet, but it appears to be of good quality and of great financial value compared to other similar shapers that I considered buying. This is a good shaper for serious hobbyist or light manufacturing. Not much refinement went into the fence, but craftsmen that most of you are, you can shim the fences to be co planer to each other. 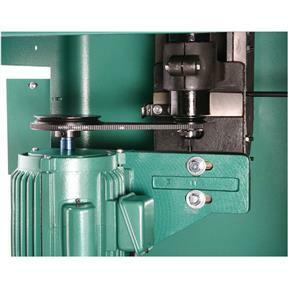 My biggest peeve is that there are no wrenches that fit the 1" spindle nut (32mm) or the router spindle nut (29MM). I called Grizzly technical to ask for any available wrenches and the representative had none and suggested I use a Crescent wrench. This isn't such a good option as the Crescent wrench will interfere with the fence. I guess it will fall upon me to buy a couple of cheap wrenches and grind them to fit. He also said this was the first complaint of this nature he had encountered, Shame on the complacency of consumers, this is what happens when low expectations are expected. I have 4 of them in my shop. Excellent value all ways gets the job done. Never had any problems with machines ( no downtime). Sturdy and flat cast top. High quality surface grind. Motor runs quiet. Throat plates are heavy duty. Fence and guard assembly is a bit clumsy, but solid. Adjustment knobs are heavy duty and solid. The only negative feature is the motor access panel. You have to remove 4 screws to access drawbar. This should be a hinged door. Overall, I'm very satisfied for the price. I recently received my shaper and I had no problem with the curb side drop at all. I went right to work assembling it and the instructions and pictures made the job very easy. I must say that the protective coating on the table was "fun" to remove. It would have been helpful to know what might have helped before arrival of the tool in the shop, but a little elbow grease and paint thinner got the table shining before long. The tracking information was very helpful since the machine was back ordered for a few weeks. Thanks to for your shipping the additional items of the order in advance that was helpful. And yes I will order from you again. This is actually my second grizzly shaper. Doing custom cabinetry I often times find myself needing 2 shapers to help increase production. I bought the first one about 10 years ago and it is still going strong. 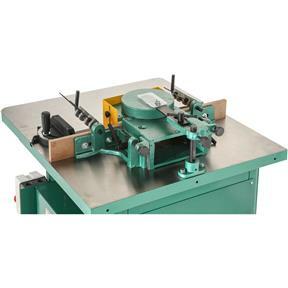 I would definitely recommend this tool for anyone needing a quality shaper at a reasonable price. 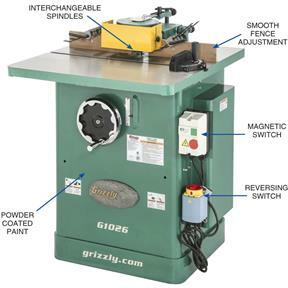 I bought this upgrading from a router table and I am so glad I did. Runs so smooth and has plenty of power. I have had the G1026 Shaper for about nine months. 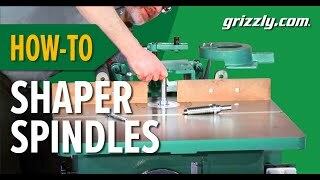 I've use a router table for years shaping wood with templates. I haven't used the router table since getting this. 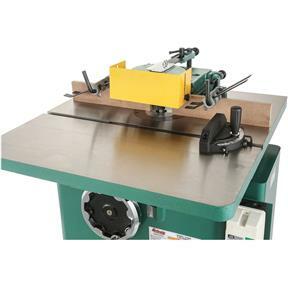 The power, the steel table, the fine height adjustment make this so much better than using a router table. I've been playing around with it learning how it handels, and it should make the new kitchen cabinets easy. I didn't realize how much more expensive the bits were than for a normal router, but you get what you pay for. Quality. 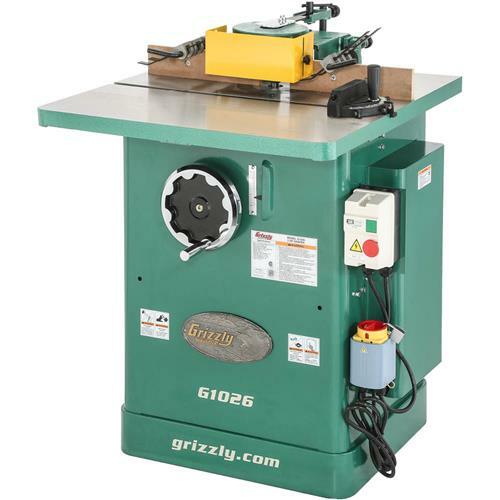 I have been looking at router tables for some time. But, decided to take a chance on the shaper because of its power and versatility. 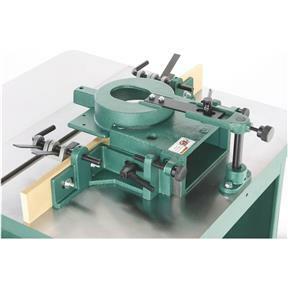 The cost of the shaper, mobile base, and C2316 bit were about the same as a high end router table WITHOUT a router. Used it several times and very happy with it. 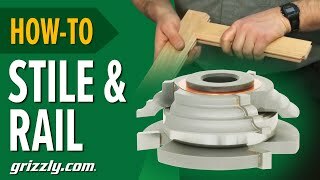 I'm an a long time amature woodworker but I've found good tools help make good results. This is a great product. Machine arrived today in professionally wrapped packagigng. All parts were nicely placed is hard plastic packing. It was a pleasure to put the machine together. Its quality is un-urpassed. Very accurately carved parts of high quality. Its a joy to see such craftsmanship. I am a loyal Grizzly customer now. Very happy with this shaper. 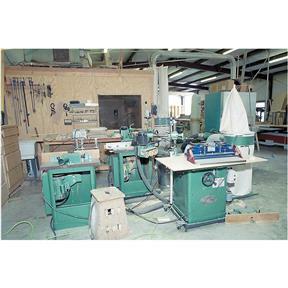 I actually do custom woodworking for a living at Lafayette Wood Works. and for the price, you will not find a better deal. I have a big kitchen remodel in front of me involving over 40 raised panel door and drawers. I have a decent enough router table, but he idea of coaxing all this work out of what amounts to a screaming, dusty toy was discouraging. So, I bit the bullet. Got a screaming deal on this shaper with no shipping and not taxes. I have set it up and have only made a few practice operations. What I see is a much, much quieter and powerful machine with superior dust collection. Very glad I splurged on this purchase and am looking forward to this remodel project instead of dreading it. 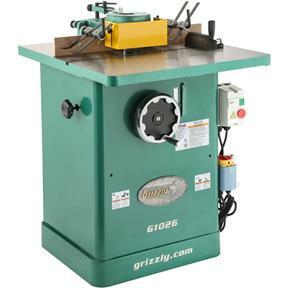 This is my first Grizzly purchase. Fit, finish, etc. 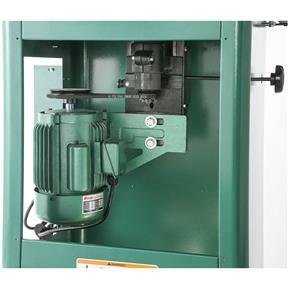 were all better than expected, so much so that I just took delivery on a stationary planer (for the same reason). Very happy with it as well. Both items shipped promptly with no hassles. Very satisfied customer. I have a cabinet door shop. I have over 10 of these. Great value!